Heather and I got down to Love Field this morning to catch our flight to St. Louis. From there we rented a car and drove over to Pappy’s Smokehouse for some lunch. The barbecue was amazing. If you get a chance, it’s worth the trip through the order line. 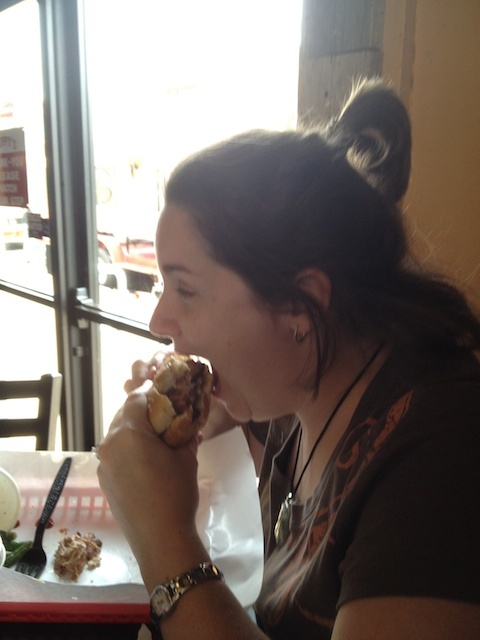 Here’s Heather munching on a pulled pork sandwich. She’s probably going to kill me for posting this picture, so have a wake for me at Pappy’s. After lunch we drove up to Peoria to pick up Reese and then headed back to Springfield to get some dinner and settle in for the Commencement ceremony tomorrow. 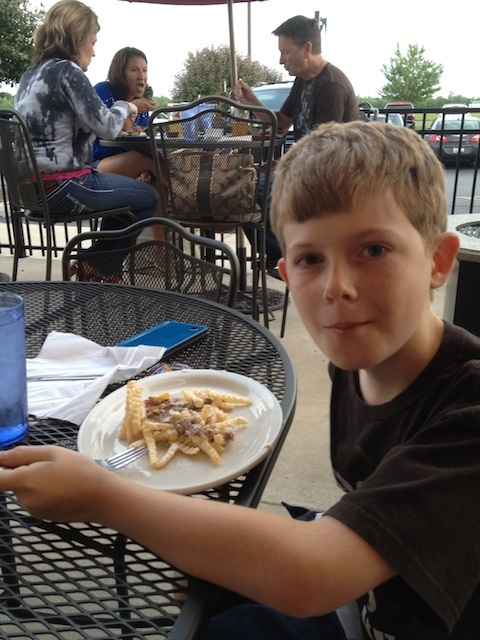 We went to D’Arcy’s Pint for dinner, where Reese and I split a horseshoe. It’s an open faced sandwich composed of bread, meat, and french fries covered in a cheese sauce. It was extremely tasty, and got Reese’s seal of approval as well. This entry was posted in Food and Drink, Personal, School, Travel by Pat. Bookmark the permalink.